Limited Time Left: Hurry and get there soon preppy, the pop-up is only available until April 2019 before it moves to Vegas! I'm sooo sooo sooo excited to tell you all about our trip to Saved by the Max! 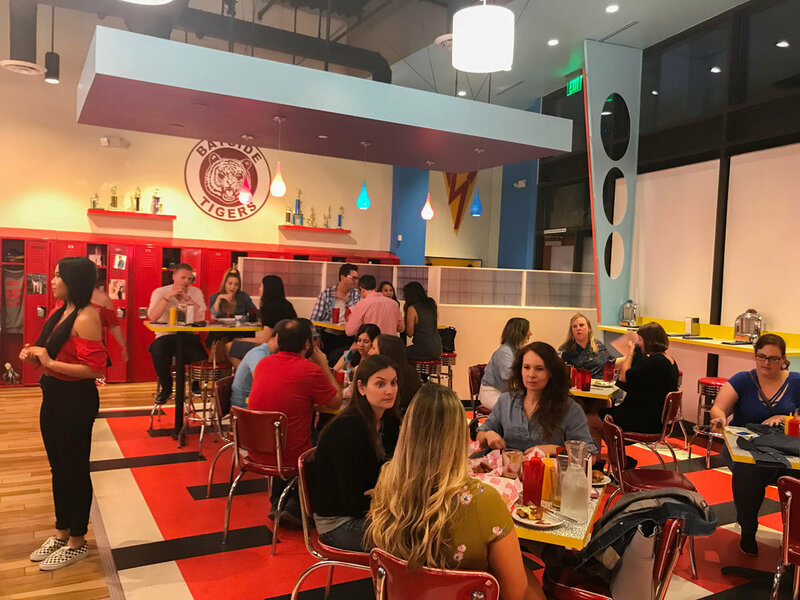 I loved and still love Saved by the Bell the series and when I saw the pop-up in Chicago, I wished it would come to LA... and it did! 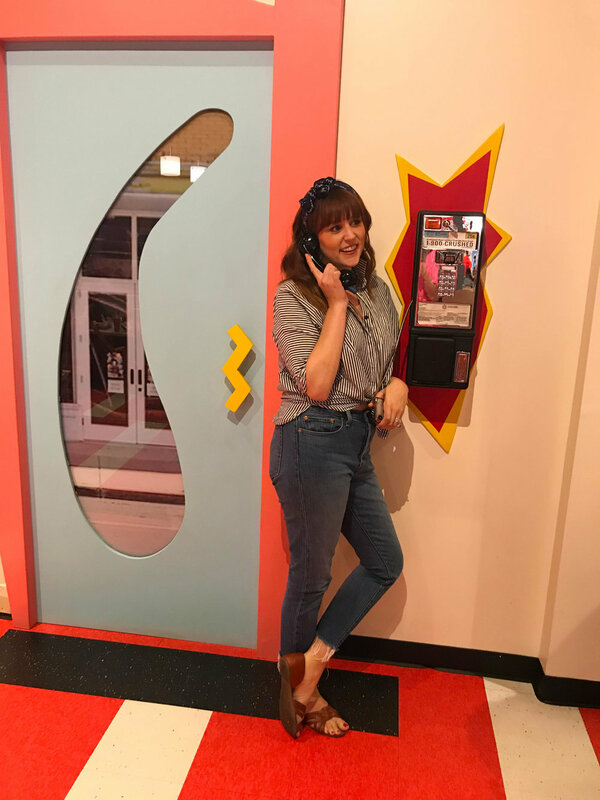 Now, we love us some pop-ups like the Star Wars Scum and Villainy bar in Hollywood which is now a staple (see out Blog post here: Star Wars Pop-up Bar) to Hollywood Boulevard! 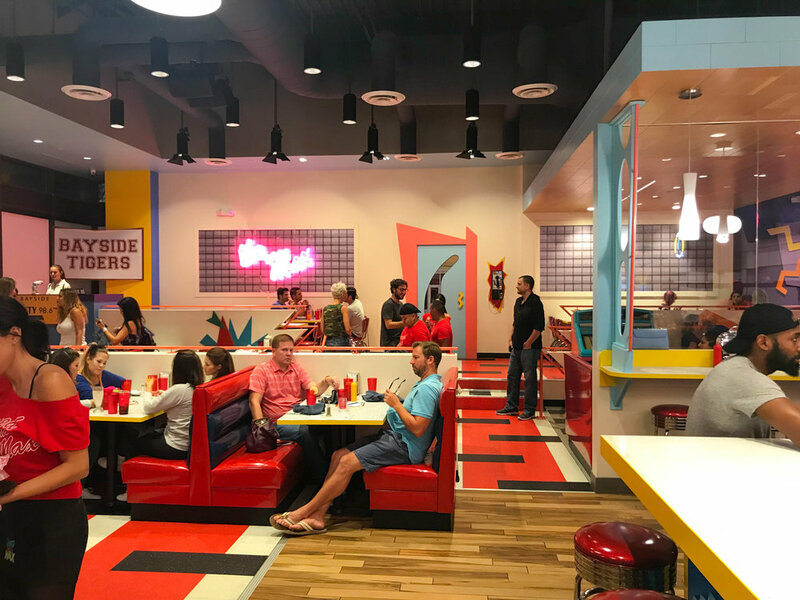 Saved by the Max is like stepping onto the Saved by the Bell set of the Max, it looks JUST like it! What really takes these pop-ups to another level are the customers. When everyone dresses like they are from that era or show or movie, it really gives the full effect that you have stepped into another realm. 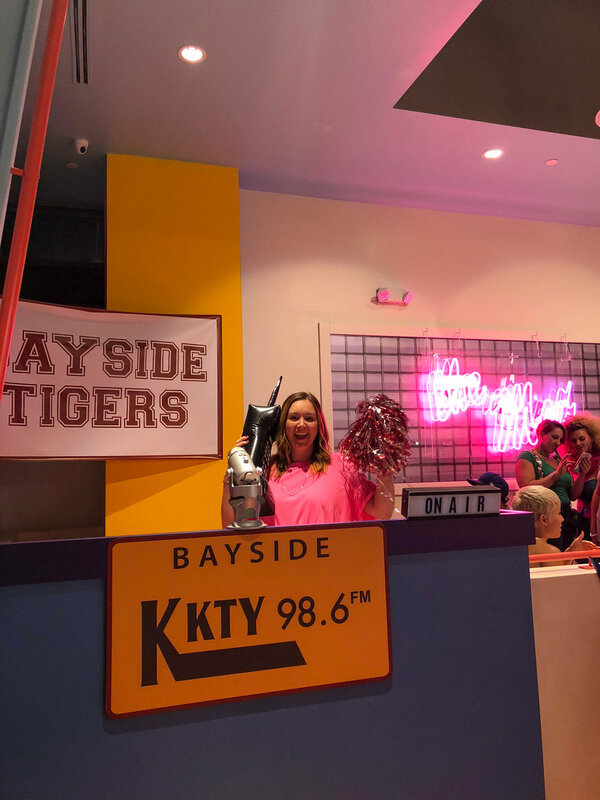 I was just waiting for Zack Morris, Kelly Kapowski, Screech, Slater, Jessie and Lisa to walk through the door! Reservations are available until April 2019 and I heard they were moving to Las Vegas next! Tickets are $40 and include a reservation date & time with an appetizer and entree. I'll get into the food below. Get ready preppy for some fun pictures! You can't really just walk into this place, you have to get past the hostess first! We checked in and only waited for a few minutes since we arrived on the early side. 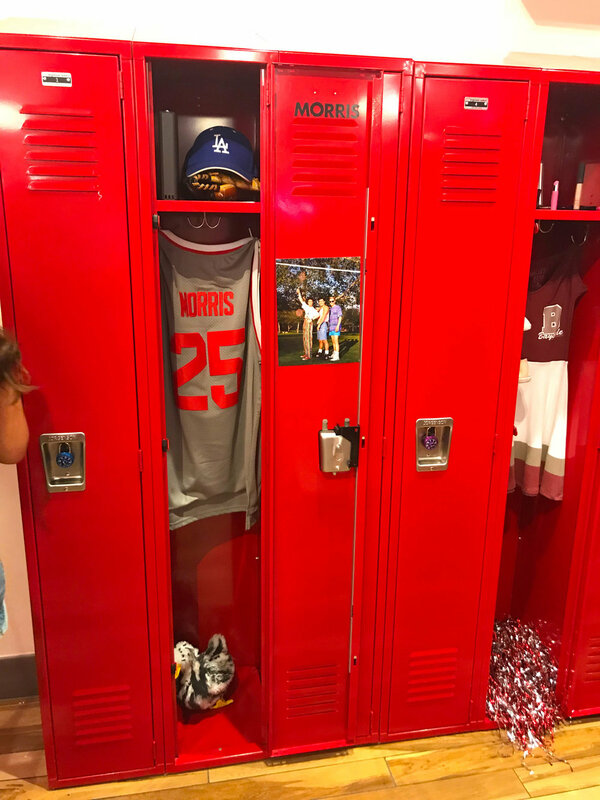 Immediately after stepping inside you walk along the lockers of all your beloved characters, with everything associated with that personality! I was already in awe just by the lockers and then we stepped in the restaurant and I lost it! I love all the 90's squiggles and designs that match the shows main title. I especially LOVED the bright colors, I fit right in! They say you have 2 hours to stay to enjoy your meal and walk around. We were to anxious to wait until after our meal that we walked around and took a bunch of pictures before our meal! Overall I think we spent about an hour and a half there. 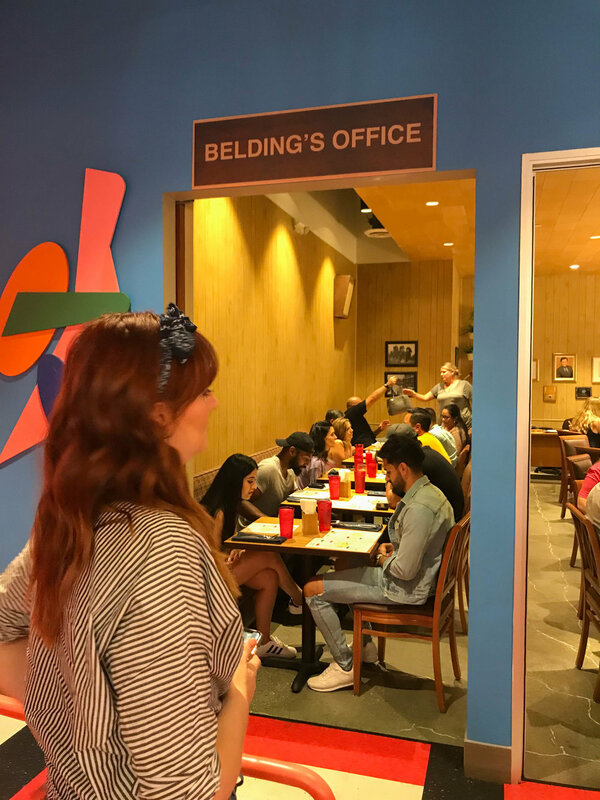 Mr. Beldings office is designed to host larger parties or just regular tables if they don't have a big party. Soooo we went in and sat his desk of course! The menu had more than I thought it would! It was typical diner/cafe kind of food and it wasn't terrible! Drinks didn't come with the ticket and were paid for separately. I of course had a Mark Paul 75 because I just can't resist champagne. It was good, but boy was it sweet. We tried to diversify our food choices to try everything between the four of us, but we doubled up on certain things. I loved the clever food names! Mac and Screech - pretty good for noodles and cheese! Snow White and the Seven Dorks - Wings that were devoured by the husbands... they seemed to be fans! Bayside Burger - Diner style with a double patty! YUM! Beat Valley Buttermilk Pancakes - they serve brunch on weekends but why not have breakfast for dinner? We had so much fun! Trish and I want to go back any day, any time!